This blog’s title has come back into focus, as it always should this time of the (Gregorian Calendar) year. Lord and Master of my life, spare me from the spirit of indifference, despair, lust for power and idle chatter. Instead, bestow on me Your servant, the spirit of integrity, humility, patience and love. Yes, O Lord and King, let me see my own sins and not judge my brothers and sisters, for You are Blessed, forever and ever. Amen. 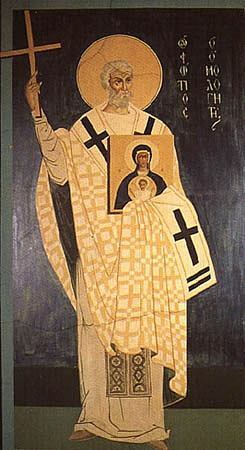 On February 6th, our Byzantine Catholic calendar commemorates our Holy Father Photius, Patriarch of Constantinople. St. Photius is one who may raise eyebrows for even being on a Catholic calendar, let alone being called a Saint, for he opposed the filioque directly to his Roman Catholic contemporaries, was involved in some deep disputes between East and West, and more. There is so much that could be said about his being commemorated in the typikon of Eastern Catholics, as it relates to our past/birth of being Orthodox who entered into communion with Rome at a point in history that is after St. Photius, and as it relates to our current way of life, not to mention implications for a hoped for future reunion between all Orthodox and Catholics. Nevertheless, here are some questions that I’d like to pose for reflection and prayer for deeper Christian unity. How will a reunited East and West deal with saints who disparaged those “on the other side”? Can we see that those who did disparage one another did so out of a love for Truth, and not out of a hatred of any person or formulation on the “other side”? Can Eastern Catholics truly be a model for a future reunion? Will this modeling be embraced by the “Latin Lung” of the Catholic Church, or will such devotion to men and women such as St. Photius be a perennial thorn in the side? When will we see that God’s love is bigger than our own shortcomings? I’m sure that more questions can be asked, and that better answers can be given by more skilled souls, but these thoughts come to my mind as the day winds down. 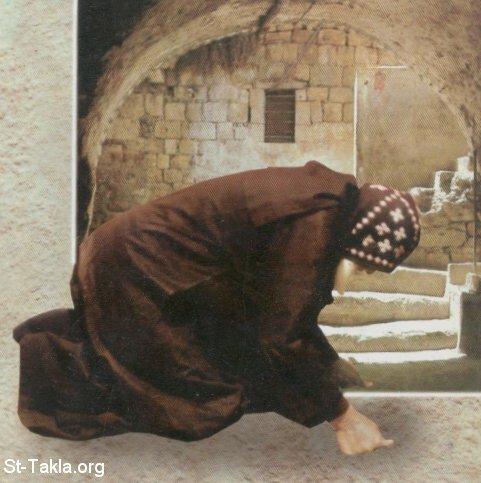 Through the prayers of our holy fathers, O Lord Jesus Christ our God, have mercy on us!